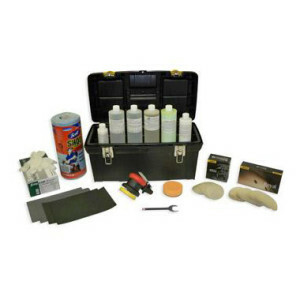 Detail King offers headlight restoration kits for the consumer and business opportunities for the auto reconditioning professional so he or she can perform profitable headlight restoration. Restore faded black and gray plastic door handles, mirrors, body side moldings, bumper guards, bumper covers even bedliners with our plastic trim restoration products. 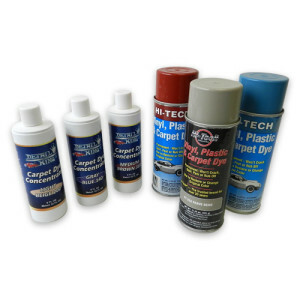 Our Color Twin Rock Paint Chip Repair Systems is a match by eye system (no mixing) which is easy to do and yields awesome profits. We have 2 business opportunity kits and a sample kit. No license or royalty fees to pay! You can actually have a separate business offering vinyl and leather repair for autos, restaurants, airports and boat marinas. Fixing cigarette burn holes in carpets and cloth seats is quick, easy and very profitable. The best thing about this service is the overhead is extremely low. Auto windshields are costly to replace and insurance deductibles are usually high. 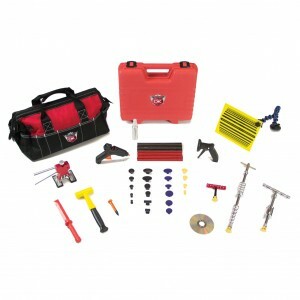 Our glass repair kits come with excellent video training and offer complimentary hands on training by the manufacturer. If you are looking to start your own auto detailing business or want to take your current detailing business to the next level, now is the time to enroll in Detail King’s Auto Detailing Certification Classes. Offering these auto reconditioning packages will not only set you apart from competitors that do not, but position you as an all-inclusive auto detailer with options for all consumers. By providing essential reconditioning options like paintless dent repair, headlight restoration, cigarette burn repair and paint chip repair, growing your business is simple. 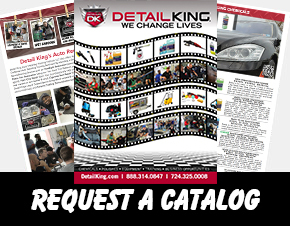 Discover how you can expand your business with Detail King.Transforming an automobile into something that at one point wouldn’t get any attention into something that turns heads is satisfying and very rewarding. Providing an auto reconditioning package with your auto detailing services can garner bigger profits and excellent word of mouth advertising. Having your handiwork driving around town will get people talking and create the potential for more business. Adding auto reconditioning services such as headlight restoration and paint chip repair can increase earning potential and open up a whole new customer base while still being able to satisfy the needs of current customers. Exterior Auto Reconditioning Services: Headlight Restoration, Paintless Dent Repair, Paint Chip Repair, and Plastic Trim Restoration. Learn how to provide profitable auto reconditioning services and increase your bottom line. All of these reconditioning services have low start up costs and overheads. The learning curve can also be short and with practice you can become very good at providing these services and procure regular accounts that will have vehicles that will be waiting to be reconditioned by you. 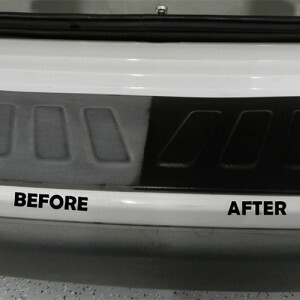 Interior Auto Reconditioning Services: Vinyl & Leather Repair, Cigarette Burn Repair, Carpet Dying and Odor Removal. We will also demonstrate how to wet sand scratches. Detail King LP will be presenting this one day Hands-On Training Seminar introducing these highly profitable add-on reconditioning services. Watch demonstrations and try the supplies and equipment yourself! 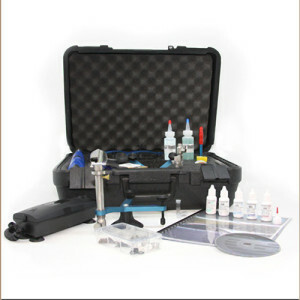 We will also be demonstrating our new Vapor Steamer, and Tornador Air/Water Cleaning Tool. Automotive Odor Removal is a huge profit maker that many detailers do not have the correct products or equipment to perform those services, we have a professional Odor Removal Kit that will help you yield huge profits. Also, become a fan of our Detail King Facebook fan page. Take advantage of capturing more revenue per invoice. Used car dealers nationwide prefer working with one vendor for the reconditioning of their used cars. You can be a “One Stop Shop.” How often have you been detailing a retail customer’s vehicle and have seen many other cosmetic problems that you wish you had the knowledge to repair? 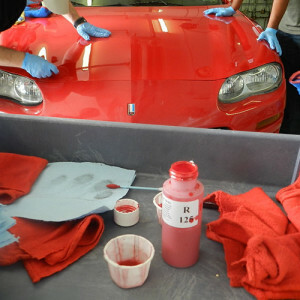 Just about every used car that you will be detailing will need some type of reconditioning service. Why pass up these opportunities to make profitable revenues? Detail King LP has everything you need to get started and grow your reconditioning business. We have all of the equipment, supplies, support and now even offer this one day hands-on training course that will show you how to perform these services. 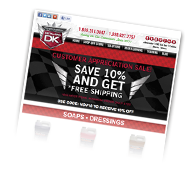 You can save money off of your purchases with Detail King by signing up for our Special Offers and Auto Reconditioning Newsletters.